Little Mix, the winners of this year's X Factor, went straight to number one on Sunday night with their cover of Damien Rice's Cannonball, but the bookies are predicting a short stay at the top. 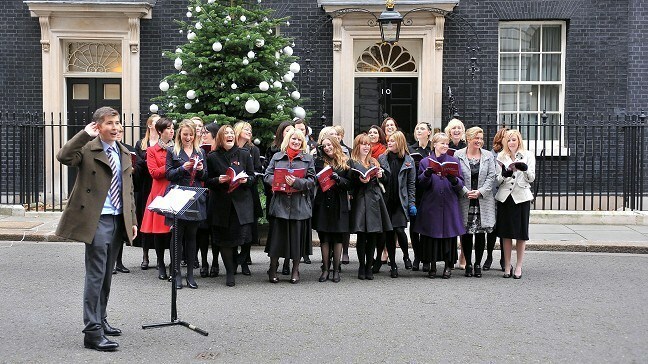 They have installed Gareth Malone's choir of military wives as favourites for the festive number one which will be revealed on the Top of the Pops Christmas Special. The women, brought together on the BBC Two series, have released a single, Wherever You Are, inspired by letters to and from their soldier husbands which will raise money for forces' charities. William Hill have got them at 1/5 to take top spot on Christmas Day with Little Mix trailing at 9/2. It is not the first time Sam Stevenson, the 28-year-old who is the choir's lead singer, has tried to stop the X Factor winning the festive chart race. The rock fan played a part in the 2009 battle when she bought Rage Against The Machine's Killing In The Name which kept that year's winner, Joe McElderry, off the top. She said: "I think we have a good chance of getting to number one, I don't want to be too complacent, but I don't want to be too cynical either. For us it would be the icing on the cake if we did get to number one." The choir, who have backed by figures such as Radio 2 presenter Chris Evans, have performed at this year's Festival of Remembrance at the Royal Albert Hall and at the Strictly Come Dancing semi-finals.